Students and faculty have a long wish list for the new Vice-Chancellor (VC) of Mumbai University, professor Sanjay Deshmukh (50), who is set to charge as vice-chancellor in a fortnight. These include speedy and accountable exam process to the early declaration of results. Academicians say that division of work to handle such a huge number of affiliated colleges is a must for efficient delivery. After Deshmukh’s selection in the topmost office of the University, many believe that the trend of candidates from the science background making it to the top post of universities in the state is common. It may be mentioned that Devanand Shinde was selected as vice-chancellor of Kolhapur’s Shivaji University by the governor. 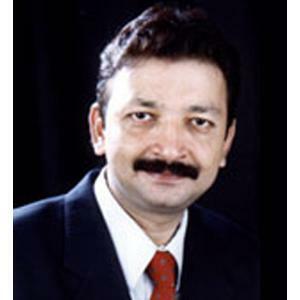 Shinde was serving as the professor of chemical technology at a university in Aurangabad. The incumbent Rajan Welukar was also from mathematics and statistics background. Vijay Khole, former vice-chancellor of Mumbai University, was the director of the Institute of Science and had done his post doctoral in biophysics. Of the five candidates shortlisted for Mumbai University vice- chancellor’s post, four were from science background, except Vibha Surana, head of the German department. Media reports state that although this time there is no opposition to the selected candidate, different groups of stakeholders have raised doubts about the appointment process followed for the V-Cs for Mumbai and Kolhapur universities. Furthermore, as VC, Deshmukh will get to recommend three names to the governor for the post of pro vice-chancellor. Meanwhile, giving a major respite to students whose name appeared in the second merit list on Thursday, the University of Mumbai has extended the deadlines for submission of fees till today. This would bring relief to all those who could not complete the process on Friday as they failed to reach the colleges due to heavy rainfall, which disrupted the Mumbai local trains and road transport. Though they had time on Saturday, colleges told the University that they might not be able to finish the process by 1:30 pm on that day, considering the weather conditions.